A sweet nuzzle to get you out of bed in the morning. A joyful tail wag when you walk in the door after work. A loving snuggle in your lap after a long day. Your pet is there for you when you need him. As you make dinner reservations for your beau and send handmade cards to your best gal pals this February 14, don’t forget to honor your fur babies. Below we share our favorite gifts for your furry valentine. Brace yourself for slobbery thank-you kisses. We all know the easiest way to your dog’s heart might be through his stomach. But treats at the pet store can be expensive — and sometimes feature questionable ingredients. You can show Fido you care by getting busy in the kitchen and making your own batch of dog treats. The queen of DIY, Martha Stewart, shared her top picks for homemade biscuit recipes. If the holiday spirit moves you, use a heart-shaped cookie cutter when creating these tasty treats. Your dog knows when he looks good. He holds his head a little higher and sashays his behind a little bit more at the dog park when he’s feeling his best. With a customized dog bandana or collar cover, you can give the gift of accessorizing to your fuzzy fashionista. Pick your favorite color, pattern or photo to create a design that’s unique to your furry valentine. You can even get your pup’s name embroidered on his new bandana for when he meets new friends while out and about. By the time February rolls around, your pooch might be at the end of his rope when it comes to bathroom breaks in the snow. 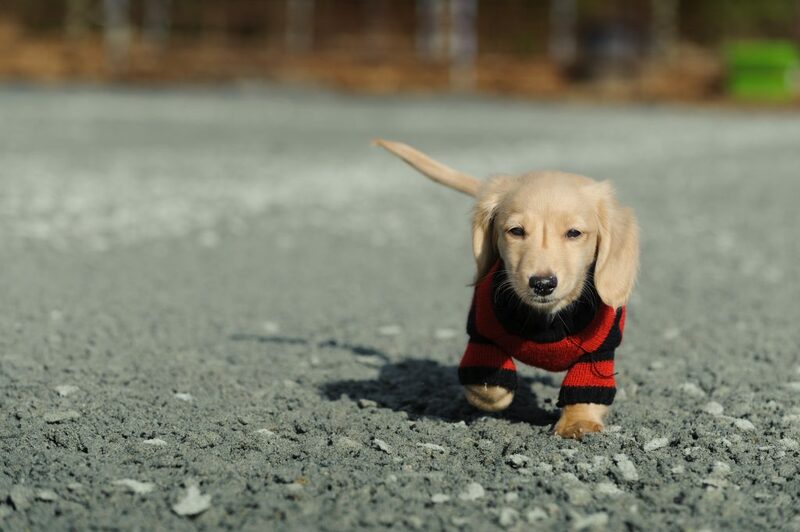 You can make those morning walks a little bit less chilly with custom pet apparel for your furry valentine. A stylish tank top will keep his core warm while he laps the neighborhood. You can customize the shirts with monograms, clip art and more for a one-of-a-kind look! No matter how you choose to spoil your furry valentine, we hope you have a paws-itively awesome Valentine’s Day!